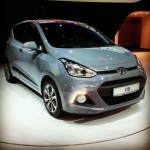 New Hyundai i10 Unveiled on the 2013 Frankfurt Motor Show! 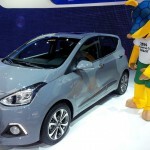 Hyundai unveiled the new Hyundai i10 on the 2013 Frankfurt Motor Show this week. However, this cute car was originally presented in August, but we didn’t have much info about powertrains and other items. For the European market Hyundai will install the Kappa family engines with 998cc (65hp) that is also available with LPG option and more powerful 4-cylinder 1.25L (85hp). Both engines are available with a 5-speed manual or a 4-speed automatic transmission. 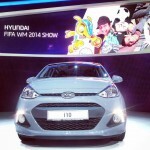 Hyundai assembled Q&A style videos about the new i10! 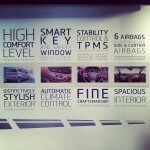 So, check them below and tell us what you think. There are exactly 4 videos that describe the exterior & the interior design, the convenience and the roominess of the new vehicle! Anyway, the i10 Magna is now available at a special price!